Need Help with your old photos before you loose them forever? Try this restoration service. 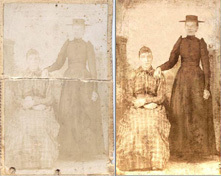 Very inexpensive and they bring those old or damaged photos back to life.